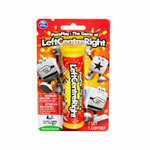 Left, Center, Right is the addictive dice game that's fast, easy and provides hours of fun! The addictive dice game that’s fast, easy and provides hours of fun! Its compact size makes it great for travel play. Each player takes a turn rolling the dice. 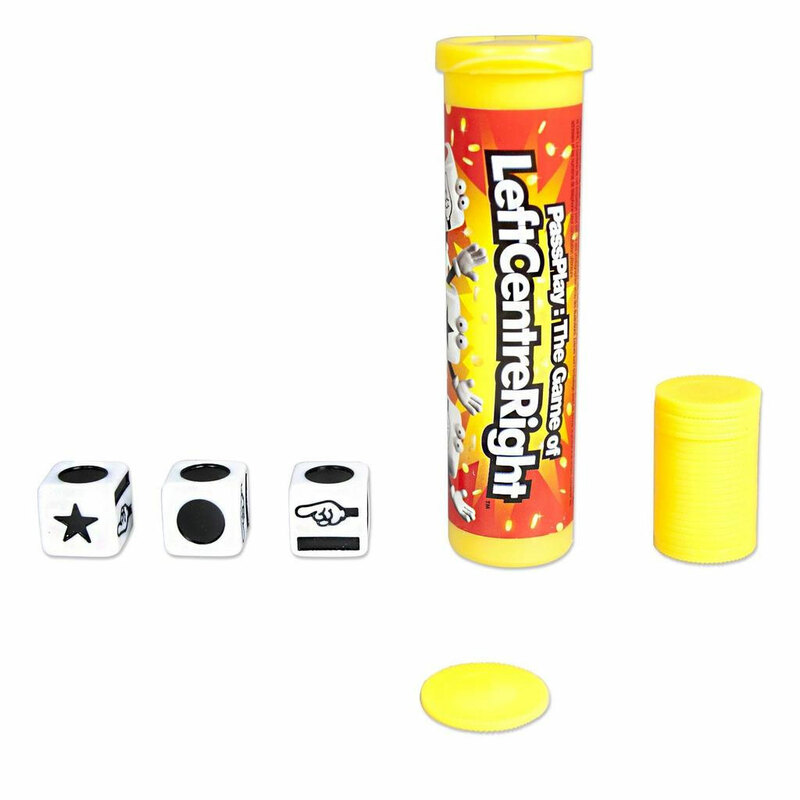 Roll Left, Center, or Right and pass your token in the direction you roll. The last person with all the tokens is the winner! 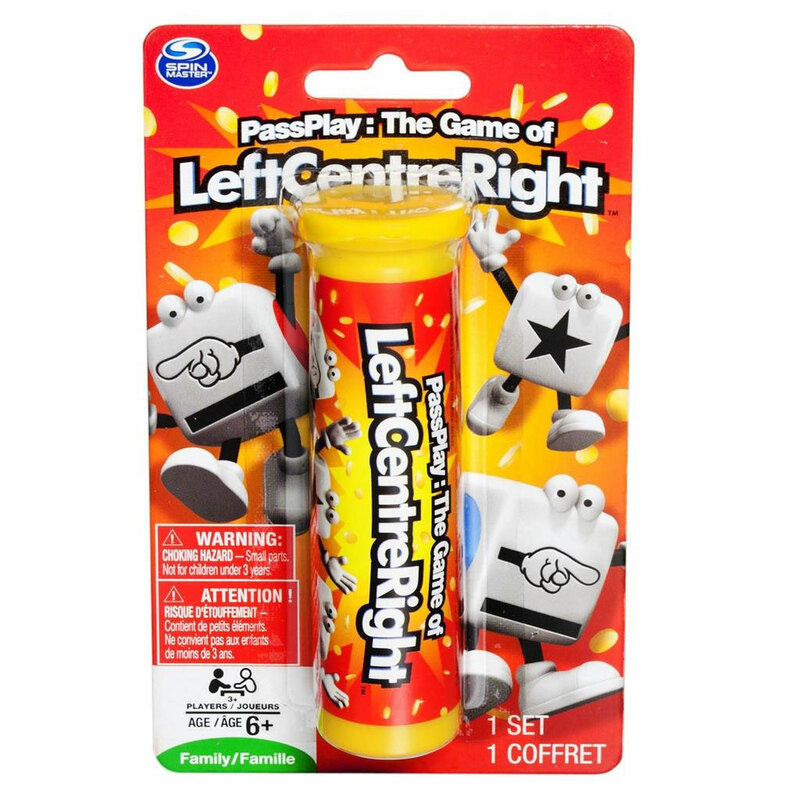 Roll your way to victory with PassPlay: The Game of Left Center Right!